If you are in the mood for some beautiful photographs, then head over to the UK’s Telegraph. The Telegraph recently published the winners of the second International Drone Photography Contest, a contest organized by Dronestagram and National Geographic. The winners in the second International Drone Photography Contest have been announced. Organised by Dronestagram, a social network for drone photography, with the help of National Geographic, the contest saw more than 5,000 pictures submitted across three categories: Places, Nature and Dronies (selfies taken with a drone). 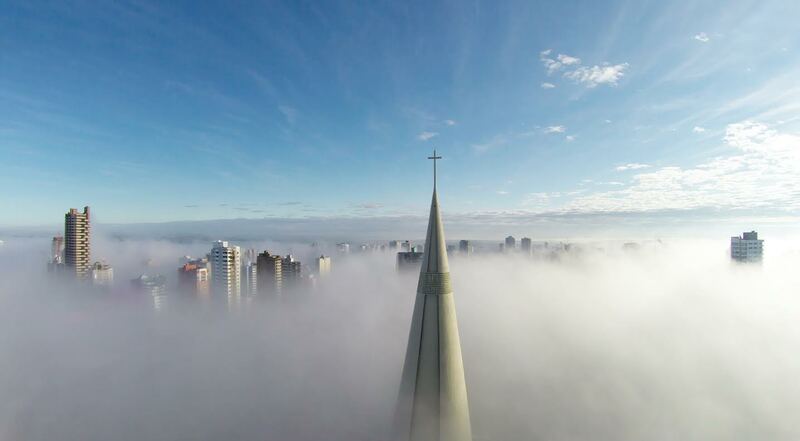 First prize went to Ricardo Matiello with his photo ‘Above the Mist’ taken above Maringa Cathedral, Parana, Brazil. Besides winning the overall prize the image came first in the ‘Places’ category. By submitting the User Submissions to Dronestagram, you hereby grant Dronestagram a worldwide, non-exclusive, royalty-free, sublicenseable and transferable license to use, reproduce, distribute, prepare derivative works of, display, and perform the User Submissions in connection with the Dronestagram Website and Dronestagram’s (and its successor’s) business, including without limitation for promoting and redistributing part or all of the Dronestagram Website (and derivative works thereof) in any media formats and through any media channels. You also hereby grant each user of the Dronestagram Website a non-exclusive license to access your User Submissions through the Website, and to use, reproduce, distribute, prepare derivative works of, display and perform such User Submissions as permitted through the functionality of the Website and under these Terms of Service. The foregoing license granted by you terminates once you remove or delete a User Submission from the Dronestagram Website. You can find the text above in the Terms and Conditions in area 6, “User Submissions.” While I’m not comfortable sharing my photographs and videos through Dronestagram, many are. How do you feel about their Terms and Conditions?